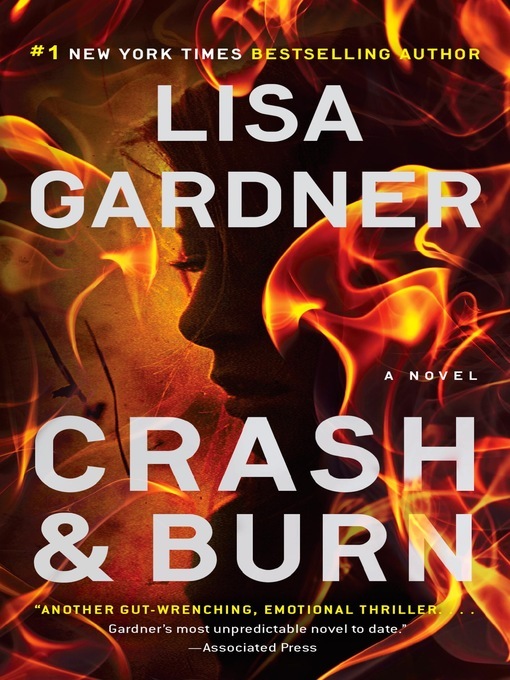 The item Crash & burn, Lisa Gardner, (electronic resource) represents a specific, individual, material embodiment of a distinct intellectual or artistic creation found in Lawrence Public Library. The #1 New York Times bestselling author's latest stand-alone thriller, with a cameo by her fan-favorite character, Boston Detective D.D. Warren My name is Nicky Frank. Except, most likely, it isn't. Nicole Frank shouldn't have been able to survive the car accident, much less crawl up the steep ravine. Not in the dark, not in the rain, not with her injuries. But one thought allows her to defy the odds and flag down help: Vero. I'm looking for a little girl. I have to save her. Except, most likely, she doesn't exist. Sergeant Wyatt Foster is frustrated when even the search dogs can't find any trace of the mysterious missing child. Until Nicky's husband, Thomas, arrives with a host of shattering revelations: Nicole Frank suffers from a rare brain injury and the police shouldn't trust anything she says. My husband claims he'll do anything to save me. Except, most likely, he can't. Who is Nicky..